John Hatch conceives Village Banking. His plan enables poor Bolivian farmers with no collateral to access loans through a collective guarantee. In 1985 Hatch establishes FINCA. FINCA is an acronym that stands for the Foundation for International Community Assistance. FINCA launches its first Village Banking programs in Latin America. El Salvador is first in 1985; Mexico, Honduras, Guatemala and Haiti follow in 1989. FINCA launches its first program in Africa. FINCA Uganda opens in 1992, proving that Village Banking can work in diverse geographic and cultural environments. FINCA expands to Eurasia. FINCA Kyrgyzstan opens in 1995. FINCA co-sponsors the first-ever Microcredit Summit. The Summit attracts practitioners, advocates, educational institutions, financial institutions, non-governmental organizations, donors and others from around the world to coalesce to a common goal: To eliminate poverty. President Bill Clinton and First Lady Hillary Clinton visit FINCA Uganda and show strong support for microfinance as one important and critical tool for development. FINCA launches five new programs in Eurasia. Her Majesty Queen Rania Al-Abdullah of Jordan inaugurates FINCA Kosovo; FINCA also launches programs in Armenia, Georgia, Azerbaijan, and Russia. FINCA offers micro-insurance. Its innovative program in Uganda is later adopted by many MFIs. FINCA Afghanistan becomes the first microcredit program in the country. FINCA pioneers Sharia-compliant products, which conform to Islamic financial principles. Academy-award winning actress Natalie Portman is named FINCA Ambassador of Hope and her work with FINCA raises the visibility of microfinance as one important tool for development in emerging economies. Three FINCA subsidiaries become regulated financial institutions. As financial institutions, subsidiaries in Ecuador and Uganda can offer clients more services, including savings accounts. The United Nations declares 2005 the Year of Microcredit. The 2006 Nobel Peace Prize is awarded to Muhammad Yunus and Grameen Bank, validating the positive global impact of microfinance. FINCA launches the Village Banking Campaign, a commitment to provide financial services to one million clients living in poverty. FINCA launches its FINCA UK affiliate . FINCA launches a new subsidiary in Jordan. Her Majesty Queen Rania Al-Abdullah of Jordan inaugurates the program. FINCA introduces “branchless banking.” Point-of-sale, ATMs and cell phone banking programs expand FINCA’s outreach and lower transaction costs. FINCA launches its FINCA Canada affiliate. FINCA Uganda pilots a micro-energy loan program. Loans enable clients to purchase solar lamps and solar cookers and generators to ensure a steady, sustainable source of power for homes and businesses. Only 12 % of the population in Uganda is on the electric grid. Milestone: FINCA celebrates 25 years of providing financial services to low-income entrepreneurs. FINCA Uganda launches a youth savings pilot program. Milestone: FINCA achieves $1 billion in small loans distributed. FINCA endorses The Smart Campaign. 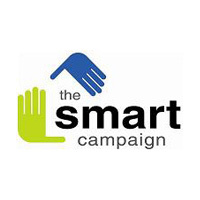 The Smart Campaign is a global campaign committed to embedding client protection practices into the institutional culture and operations of the microfinance industry. FINCA launches FINCA Microfinance Holding Company LLC., the first-of-its-kind socially responsible investment partnership for microfinance. Milestone: FINCA reaches 1 million clients.